With designers taking various stabs at this classic hairdo; we pulled 3 different ponytail looks right off the runway that you would love. 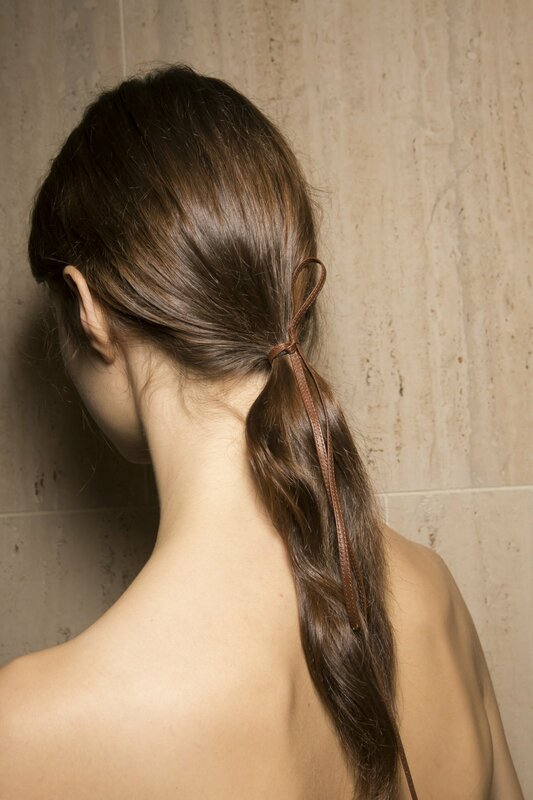 The Classic pony gets a slicker look at Loewe with a smooth pull back to a rather loose pony. The trick…no scrunchies! Tie with a cute ribbon for lady- like charm. The double pony at Public School brings back the pony holder x 2! Leave some hair loose in the front to switch it up! The Bungee pony tail is just like the standard pony but folded in half and fastened with bright colored pony holders ( the bungee mentioned). We think this look is for long hair but if you try it with midi hair, DM us on instagram @tfgnyc.